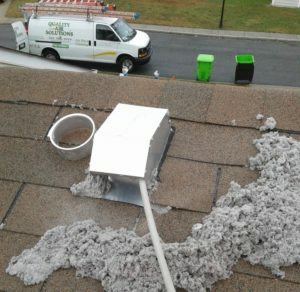 We cleaned out a clogged roof exhausting dryer in Chevy Chase, MD. 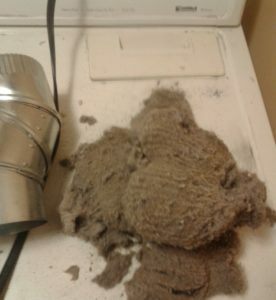 Look at all of the lint, dust, and mildew that we removed! 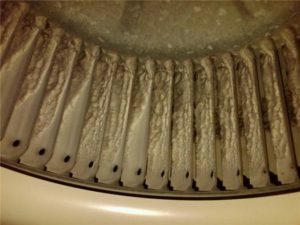 This type of build up in dryer vents can easily become a fire hazard. For a safer home with cleaner air, contact Quality Air Solutions today! 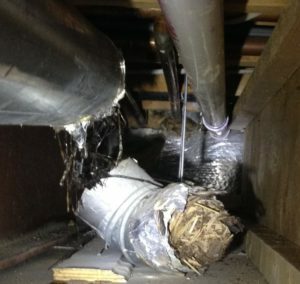 Have Concerns About Your Dryer Vent and Ducts? Whether your concerns are about your dryer vent, your ducts or anything else involving the air flow of your home, you can depend on Quality Air Solutions to address them and come up with the right solution. Contact us today! Want to ensure that the air circulating your home is clean? 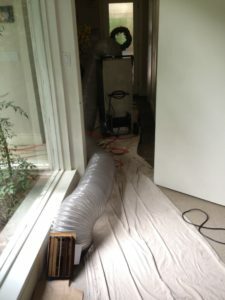 Contact Quality Air Solutions to answer any questions you have about your duct or dryer vent cleaning! 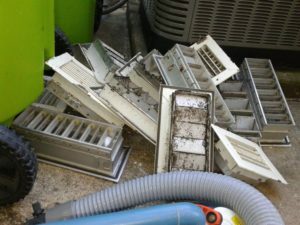 On one client visit in Rockville, MD, the Electronic Air Cleaner (EAC) view showed us how much dust had passed the filtration and was impeding the air quality. 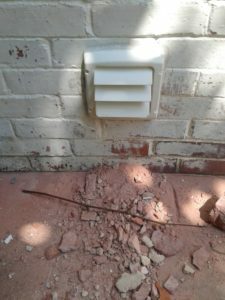 If you suspect that the air quality of your home could be improved by clearing out the dust and debris build up in your ducts, contact Quality Air Solutions as soon as you can! If you’re looking for reliable, responsive service with a focus on customer-satisfaction – contact Quality Air Solutions! We’ll thoroughly clean your dryer vent and/or ducts. The blower wheel is one of the most important parts of your heating and air conditioning system. It controls the flow of air to all parts of your house. If you suspect that your HVAC system in Germantown, MD is having issues due to a dirty blower wheel, contact Quality Air Solutions! For a residence in Laurel, MD, we installed new dryer piping and exhaust cap. This will improve the efficiency of their dryer! The Quality Air Solutions team provides efficient, professional installations of air quality products. Contact us if you have concerns about the quality of the air in your home! Water Damage on Dry Wall and Inefficient Dryer? Do you see water damage on your dry wall and your dryer isn’t running efficiently? There could be something obstructing your dryer vent! A customer in Laurel, MD called with this problem, and we found a bird’s nest while cleaning their dryer vent. 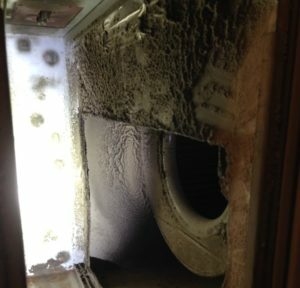 Contact Quality Air Solutions today to clean and remove possible fire hazards in your ventilation! 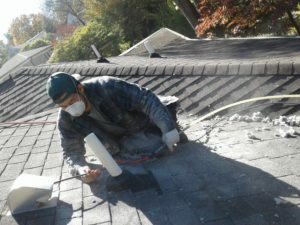 In this job in Bethesda, MD, we cleaned out a clogged roof exhausting dryer. Goodbye, clumps of lint and debris! 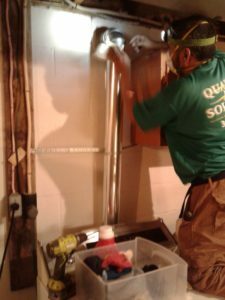 If you suspect that your clogged dryer vent is bringing in contaminants in your home’s air or may be to the point where it’s a fire hazard, contact Quality Air Solutions today!